What Ike Feared "Has Come Upon Us"
The American people were told this day would come. In his Farewell Address, delivered on January 17, 1961, U.S. President Dwight Eisenhower (above) warned the nation to guard against the "unwarranted influence" of "the military-industrial complex." Fifty-three years later, to paraphrase Job, "that which Ike feared has come upon us." "In 1959 President Dwight Eisenhower began a dialogue with his brother, Milton, the president of Johns Hopkins University, regarding U.S. military policy. In the spring of 1961, a small group of undergraduates met with Milton Eisenhower to discuss the president's farewell address. "Eisenhower informed us that he and a John Hopkins professor of political science, Michael Moos, played major roles in the drafting and editing of the farewell speech of January 1961. 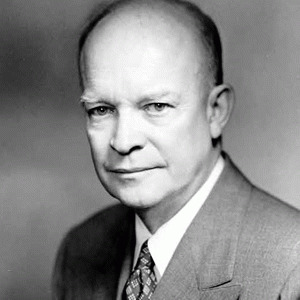 "Milton Eisenhower explained that one of the drafts of the speech referred to the 'military-industrial-congressional complex', with the president himself inserting the reference to the role of Congress. When the farewell address was given, the reference to Congress did not appear. p 31." Milton asked his brother why he had not included his specific reference to the Congress. Eisenhower responded: "It was more than enough to take on the military and private industry. I couldn't take on the Congress as well." This is the key sentence in Eisenhower's address: "In the councils of government, we must guard against the acquisition of unwarranted influence, whether sought or unsought, by the military-industrial complex. The potential for the disastrous rise of misplaced power exists and will persist." That "misplaced" power takes many forms. The bill Congressman Roskam presented to the Congress is a direct attack on the freedom of speech. The bill proposes to "amend the Higher Education Act of 1965 to prohibit an institution that participates in a boycott of Israeli academic institutions or scholars from being eligible for certain funds under that Act." Roskam calls his bill the "Protect Academic Freedom Act," an oxymoronic title which contradicts itself by making it illegal for members of the academic community to exercise their academic freedom. 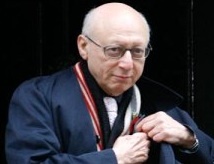 In contrast to Congressman Roskam's subservience to Israel's demands, a Jewish Member of England's Parliament, Sir Gerald Kaufman (above), told the Parliament, "we must impose sanctions." 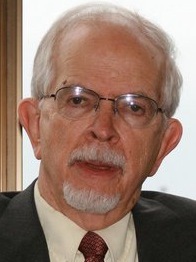 On February 5, Kaufman spoke during a debate in the British Parliament on the humanitarian situation in Gaza. "I once led a delegation of 60 parliamentarians from 13 European parliaments to Gaza. I could no longer do that today because Gaza is practically inaccessible. The Israelis try to lay the responsibility on the Egyptians, but although the Egyptians' closing of the tunnels has caused great hardship, it is the Israelis who have imposed the blockade and are the occupying power. "Again and again, Israel seeks to justify the vile injustices that it imposes on the people of Gaza and the West Bank on the grounds of the holocaust. Last week, we commemorated the holocaust; 1.7 million Palestinians in Gaza are being penalized with that as the justification. That is unacceptable."